So, my fellow Utah Utes, it looks like you’ve fallen into your mid-semester slump of eating at the Union Panda Express multiple times per week, once again. I get it. But hours of studying and/or sleep deprivation is not excuse to get lazy with your eating habits. I know it’s easy to settle for Einstein’s bagels when you’re in a rush on campus, or looking for a quick bite to eat in between classes, but in a five minute walk from the Union, you’ll arrive at cozy Publik Ed’s where your eggs are, surprise, not reheated in a microwave (looking at you, Einstein’s breakfast sandwiches). You’ve settled on your classes. You may have even settled with your most recent boyfriends. But food is no place to cut corners. “Treat yourself” is a motto that will never die, and, luckily, Publik Ed’s has that “treat yourself” taste, without the “treat yourself” price. In fact, nothing on the menu exceeds 9 dollars—so there are, truly, no excuses. Despite popular misconceptions, local is not synonymous with expensive. In fact, for the same price as your reheated frozen chicken from Panda Express, you can have a fully stacked burger with fresh ingredients, grilled right in front of your eyes. With these opportunities for bigger, better, and fresher food right around the corner, I am officially declaring 2019 the year of a new New Year’s Resolution, the resolution to strive for happy eating rather than healthy eating. And what’s happy eating, you might ask? It’s taking time to enjoy your food. It’s making the effort to tuck yourself into a restaurant chair, get cozy, and enjoy a delicious (and affordable) meal. In this case, you’ll want to partake in the ultimate comfort food, the Ed’s Burger with a side of homemade tots and special sauce. 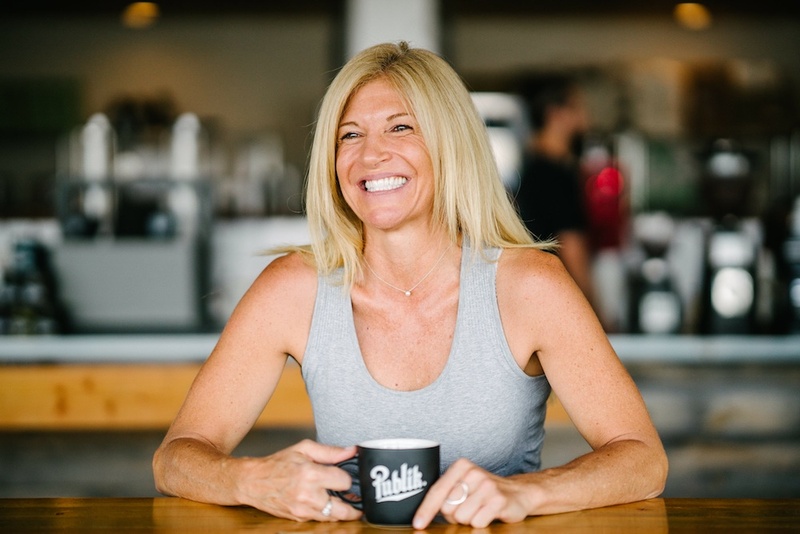 To celebrate Women’s History Month, Her Campus Utah wanted to honor the achievements of powerful local girl boss, entrepreneur, and owner of Publik, Missy Greis, with an interview—which allowed us to consult her wisdom in her experience as a female business owner. When asked how we should empower more women to pursue their dreams in business, she replied, “by highlighting the many, many women-owned businesses in SLC”—so we did just that. Because the company was born in Salt Lake, I was curious as to what benefits this Salt Lake specifically offered Greis as an entrepreneur and business founder. She replied, “The city is small. The community is local, and word travels quickly.” In terms of more general advice for aspiring business owners, Greis recommends to “Study the market, [and] pick your location wisely.” And boy, did she. 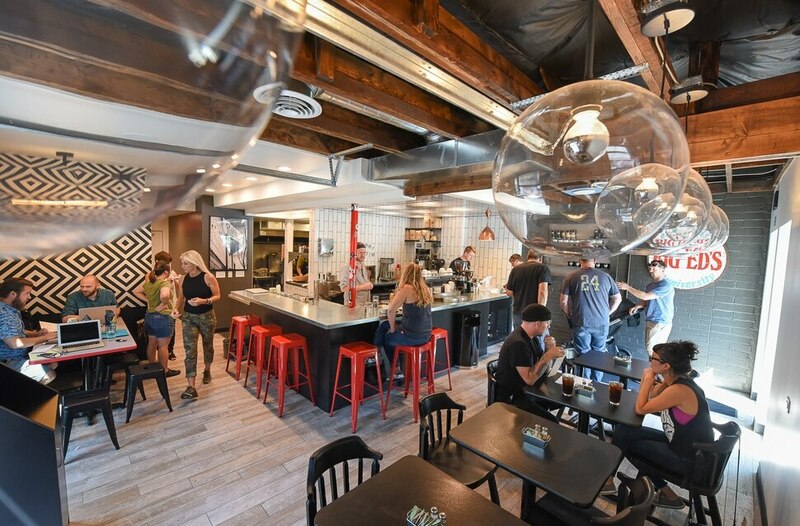 Recently, the Her Campus Utah team had the honor and privilege of hosting our 6th Birthday Party Celebration in the Publik Ed’s space---so here’s a review of our personal menu favorites. The Big Ed's burger: the onion-beer jam will make this unlike any burger you've ever had (in the best way possible). Tots with Special Sauce: The rumors are true, the special sauce is life-changing. With a spicy kick, this classic diner fave is given new life. The Gawdawful: A fun twist on an old Big Ed's favorite, and your typical breakfast sandwich routine. The Gawdawful is a pile of tots, smothered in homemade chili and pickled onions. The Veggie Burger: A vegetarian-friendly bite, that even the carnivore of all carnivores would love. Come check out Publik Ed's today, at 210 University St E, Salt Lake City, UT!